March 10 to 16 is Brain Awareness Week. One important way to take care of your child’s brain is to protect it from injury. Thankfully, wearing helmets has become common and cool while riding bikes. 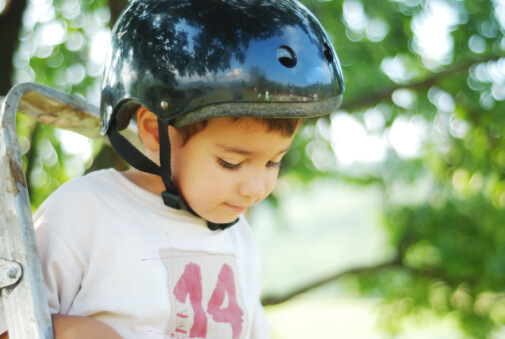 I hope helmets become just as natural during other fun activities, such as skateboarding, scootering, horseback riding, ATV or dirtbike riding, skiing, and even for those last few sled runs of the season. As a child, I never wore a helmet while racing down a hill on a sled – or on a bike. Now I’ve seen too many serious head injuries, and too many children whose brains were saved by helmets, to ever feel comfortable seeing an un-helmeted racer again. According to the Consumer Product Safety Commission, there are about 3 million head injuries related to activities like these treated in US emergency rooms each year. Almost half a million of them result in concussions or skull fractures. Helmets can make all the difference. How cool is that?